Which Strobe Has The Shortest Flash Duration: Profoto, Broncolor, or Einstein? In a world filled with portable speedlights and 3200 watt power packs, photographers might overlook another critical feature of their studio lights: flash duration. Basically flash duration is the time your strobe light contributes to the exposure of your photograph (flash actually can act as "constant light"). Earlier this year, we posted about Broncolor's flash duration compared to Profoto, but how does a much cheaper strobe like the Einstein compare? The results are pretty remarkable! View Jaroslav's full results on his blog. 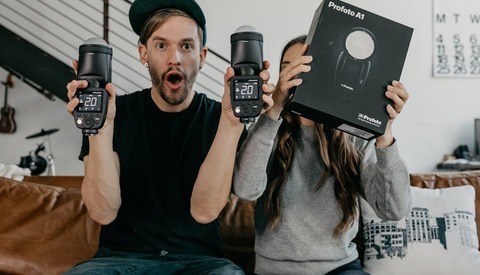 While the Einstein still doesn't compare in power to the Profoto Pro-8 Air or the Broncolor Scoro A4S, it wipes the floor with the fastest t1 Flash Duration of the three. And while the other two setups start at around $13,000, the P.C. Buff Einstein can be had for about $700! We here at Fstoppers use both PC Buff Einsteins and Profoto Airs, and nothing compares to the quality of the Profoto stuff. That being said, it's so nice to throw a couple Einsteins in the back of your car and not worry about breaking the bank if they get destroyed by sand or water from a beach shoot. Back when we did the indoor studio wakeboard shoot, I used Dynalites which are not known for their fast flash duration. You can check out the full video to see how I lit the final images, but here is an example of what a slow flash duration will do to fast moving water. You can see how some of the slower water is perfectly sharp but the moving water drops have little tails caused by the Dynalite's longer flash duration. If you want to read more about flash duration especially relating to these Einstein units, check out Rob Galbraith's indepth article. The new Profoto B4 would be an interesting thing to include in this comparison. "Nothing compares to the quality of the Profoto stuff" - Are you referring to build quality or quality of light? Others here have posted the inconsistency of comparing flash durations of a $500 novice Mono with strobe packs costing 20X the price, when not factoring in the huge advantages these high priced packs give the photographer in 10+ other categories of equal &amp; higher importance. I echo the "Kagetsu Steve Buic" comment of even shorter flash durations belonging to "SPEEDLIGHTS", if that's all you want. 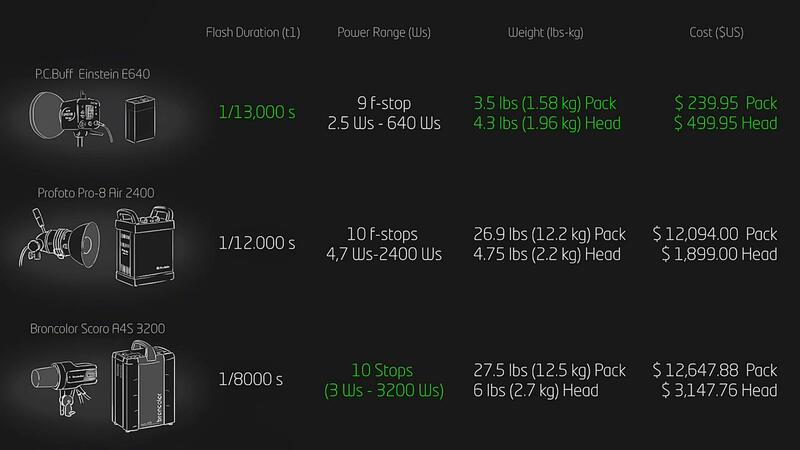 from lowest power = shortest flash duration, to full power = Longest flash duration. 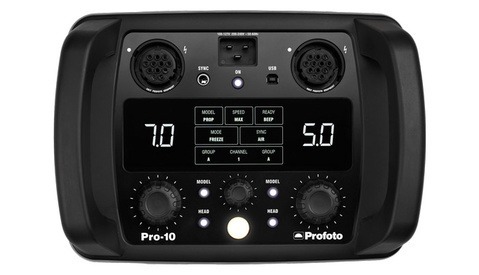 Now the Profoto 1,000ws B4 pack can achieve 1/25,000 sec, BUT to do so it's only using "ONE WATT SECOND! ", and the PB Einstein is only pushing 2.5ws at it's shortest duration, if not in a blacked-out studio these are almost useless. If you don't have an extra $5k laying around, stick with speedlights for ultra short times. There's a mistake in table there. The Profoto has a min flash duration of 1/12000 at t0.5, not t0.1 which is not listed. Additionally, comparing the flash duration of the Einstein (and I'm not downplaying the unit at all) is a little unfair... 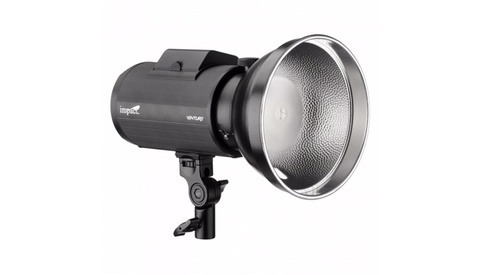 Speed lights such as Canons 580EX results in speeds rates of up to 1/35,000 of a second and more. The smaller the capacitor bank, the faster it can exhaust the power it has in them (that's dependent on other factors of course). Wipes the floor? Bit strong! For the price yes AB is great but I've been through so many and with a studio I need reliability of broncolor, I've had 6 AB lights all but 1 have died in less than 3 years :( and also the recycle speed! I think it is important to compare apple to apples. It is AB then White Lighting, then Eisteins in quality in the Paul Buff line. IF you are having problems with the lowest level of their product, (unsually it seems from others experience), then you might be better served upping your game a bit. Profoto B4 can hit 1/25000 .. and profoto has an advantage over most brands with its rental availability in almost every part of the western world and the range of modulators is excellent,Broncolor is pretty cool too thought...the new move is sweet..
Not just the western world; they are certainly popular here in Tokyo too! worry about breaking the bank if they get destroyed by sand or water" - Yeah what's a grand to a professional photographer, eh? You for real? of course! if there is some risk of equipment damage involved, would you rather have $700 at risk or $13,000? Its a pretty simple risk assessment. Film makers are known to destroy 5D Mark II DSLRs to get up-close footage of car crashes because they are much cheaper than a Red Camera. Its all relative. please correct me if I am wrong but I think the Einsteins are using IGBT technique. That means that you will have the fastest duration with the lowest power (I have the Canonmarks and they are almost the same). As I know the bronis and the profotos reaches their fastest duration with full power as a normal studio flash does. Think it would be worth noting some values at varying power output to see if they're consistent. Also recycle times likely play a part in some situations e.g. your wakeboard shoot, or the Chase Jarvis snowboarding shoot. Profoto's flash durations are quoted in t0.5 times, not t0.1 times and thus are not appropriate for direct comparison to either Broncolor or Paul C Buff. This comparison is misleading and should be taken with a grain of salt. this can be work also with slower flash - problem with slower flash duration, how to sync it. I had some experience with pocket wizards hyper sync (flexTT5) which work very nice with flash bulps with long duration. I have got the Jinbei DC 1200 which I can use with shutter speed up to 1/8000 and I have got the same result with liquids as Jaroslaw has in his video. But I have got another question - do you know what kind of liquids they are using for those kind of photos? It looks like milk but it is little bit thicker. I tries with milk but this was very shiny. Do you have got any clue? Waaahhh the waterrrrrr has a slight blurrr (teary eyes). Only us photographers will complain about a water tail in action photography. We are so... so....ahhhh nevermind. &gt; it wipes the floor with the fastest t1 Flash Duration of the three. Its 1/1,000th of a second faster. 1 millisecond "wipes the floor"? But wait, according to this graphic the Pro-8 is a bit faster than 1/12,000th, so honestly we are talking fractions of a millisecond right?